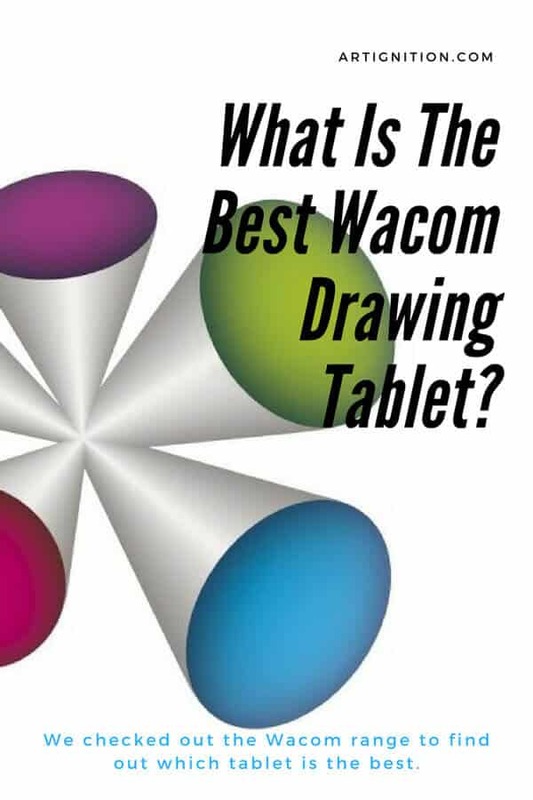 » What Is The Best Wacom Tablet? The right tool can transform the quality of your art and inspire you to master your craft. But Wacom has quite a bit to choose from, so how are you to know which device to go with? What features are most important for the specific work you do? In this article, I will help you decide which is the best Wacom tablet for your needs. 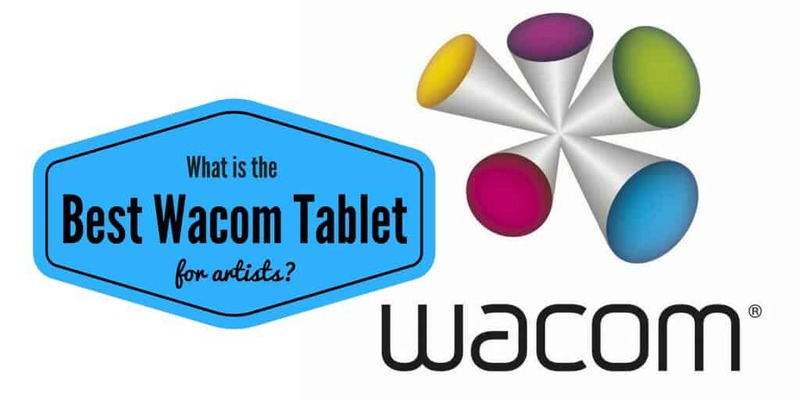 Who & What Is Wacom? 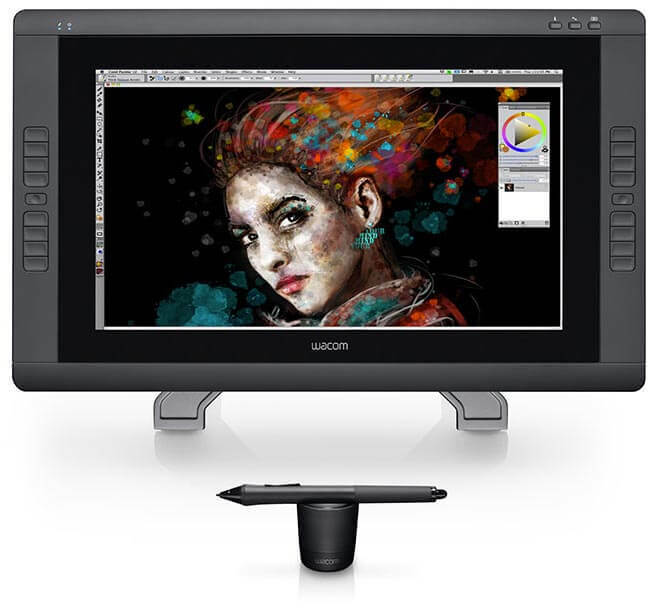 Wacom is the market leader in digital interface products, interactive pen displays, and pen tablets. 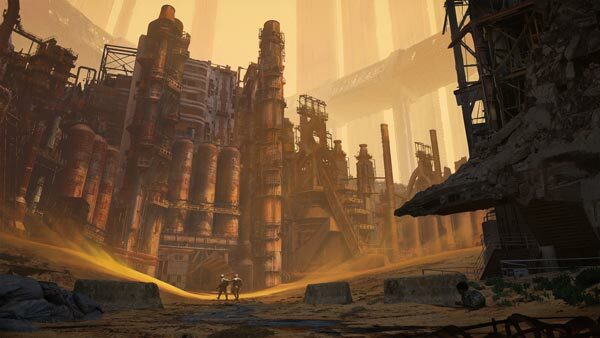 The company serves a wide variety of creative hobbyists and professionals in animation, film, photography, manga, and more. If you’ve been creating digital art for long, you’ve likely already heard people claiming that it doesn’t get any better than Wacom. 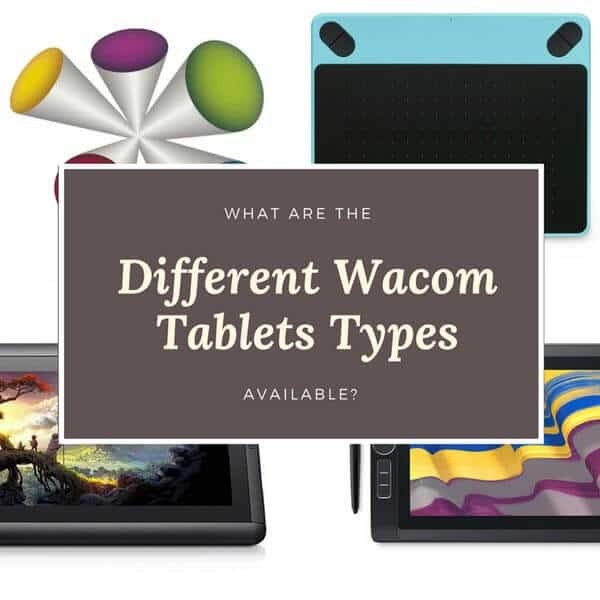 Though that’s a matter of opinion, it’s true that Wacom is the most recognized name out there for graphics tablets. And while competition (such as Huion, Monoprice, or Ugee) does exist, none of the competing brands are as known or trusted in this area. This is one of the reasons Wacom continues to dominate the market, but far from the only one. Why Is Wacom So Expensive? Wacom has been able to offer unique technologies that other brands haven’t, like styluses that you don’t have to charge. Their drawing tablets provide the stylus with power using resonant inductive coupling. This is a fancy way of saying that the pointing device doesn’t require any power. And as a result of this, the pens are slimmer, lighter, and don’t have batteries inside. Wacom has put intellectual property patents on technologies like this for tablets, forcing competition to license its patents or use other technologies. And even once those patents expire (as some already have), it will still take competing brands a while to catch up in terms of these key features. Wacom products also have wireless kits to unclutter your desk and make your tablet more portable. If you’re seeking something affordable, the Intuos line will have the lowest price tag. 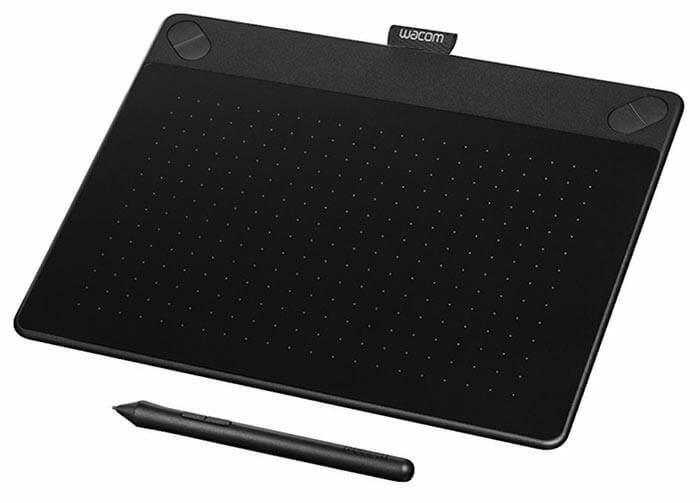 If you’re somewhat new to photography, drawing, or art school, these tablets are probably going to fit your budget better than other Wacom products. There’s also a higher performance version of the Intuos, the Intuos Pro. As you might have guessed by the name, the Pro is aimed at creative professionals while the ordinary Intuos was released for hobby artists. The Pro is the next step up from the Intuos Pro 5 and has a tablet pen with reduced latency and 4x pressure levels. If you plan to spend a lot of time using Lightroom or Photoshop, you may prefer the pen-on-screen experience and want to choose a Cintiq. Instead of having to draw without looking at your hand, which can be hard to get used to, these let you draw or edit right on the tablet surface. Although a unit with a screen does sound automatically superior at first glance, the Cintiq tablets cost much more than a drawing pad. 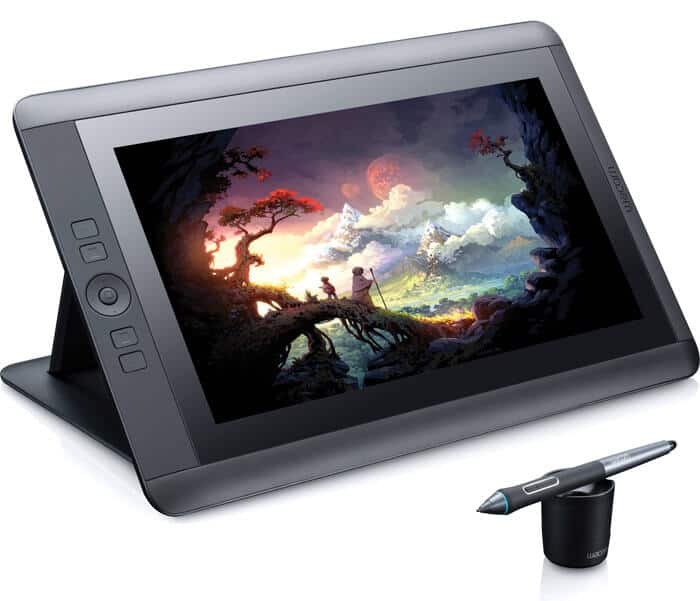 Cintiq tablets, for example, are often sold for between 10 and 100 times more than Intuos products. If you must have a screen but also don’t want to break the bank, you might be able to compromise by getting a smaller tablet. The Wacom Mobile Studio Pro line is a portable graphics tablet that allows you to draw on the go without needing a laptop. Like the Cintiq drawing tablets it offers a professional pen-on-screen experience, but with the added portability. It is a high end tablet range and comes in 13 or 16 inches. Digital drawing pads all go up in price the bigger their active work area is. The Cintiq 13HD, for instance, costs less than the 22HD. There are two things you need to consider when choosing the size of your tablet. Picking the right choice in terms of size will depend on what you’ll use the tablet for. Medium drawing tablets are popular as they offer enough space to draw freehand but aren’t as convtablenient for desks with limited space or for mobile use. As someone who travels a lot and works from many different places, I would prefer either a small or medium tablet so I could bring it with me wherever I go. If you select a graphics tablet, you should choose a size relative to the size and resolution of your monitor. The smaller the surface of the tablet, the less you’ll have to move your hand to operate the cursor. But choosing one that’s too small will make it hard to make fine selections and can cause a jerky cursor. Getting a tablet that’s too big for your monitor will likely feel too slow and tire your arm out. When trying to strike a perfect balance between screen quality, price, and tablet size, keep in mind that a portion of your work surface will be used for software controls. You may need to rearrange your tool palettes or desktops to accommodate this, or you might choose to use full-screen mode. Just remember that if you want to get a smaller tablet for its affordability, you might need an extra monitor for non art-related tasks. The Wacom Intuos is suitable if you’re on a budget and is the smallest tablet on the list at 7.87 by 6.3 inches. This makes it super portable. If you want something slightly larger, the Intuos Medium is 10.4 by 7.8 inches. If you’ve been looking for a lightweight replacement for your computer mouse to draw with, this could be a solution. 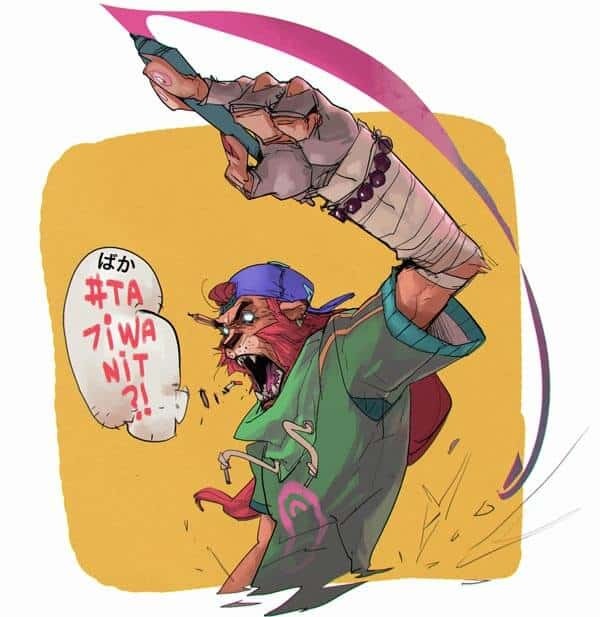 Free Drawing Software: When you register your intuos, you will have the option to download (for Free) 2 of the follow: Corel Painter Essentials 6 (perfect for digital painting), Corel AfterShot 3 (for photo-editing) or a Clip Studio Paint Pro 2 year licence (for the comic/manga artist). Adjustable Pressure Sensitivity: If you’re a heavy-handed artist, it can mean you wear out your tablet quicker (Especially the nibs!). The adjustable pressure sensitivity on this tablet lets you customize how it will respond to the pressure you apply. Affordable: The Intuos is affordable, not just for a Wacom product, but for a tablet. It sells for under $100 US. Although it has some signature Wacom features like the charge-less pen and wireless capabilities, it’s a pretty simple and basic tablet overall. It would likely feel like an upgrade if you’re switching from a traditional sketchbook but too simple to replace a more advanced drawing tablet. Long USB Cable: This digital drawing pad connects to PCs with Windows 7 and Mac 10.11 and up and has a long USB cable. If you like to switch back and forth from working on your desktop to your laptop, this will make that easier. The Stylus Holder: The pen will only fit into the stylus holder if it’s inserted backwards and sticks out quite a bit. This might make you nervous that it will fall out when not in use or make you more likely to lose it. I once had a cat who liked to steal (and hide!) my stylus whenever I wasn’t looking, so I’d personally prefer a more secure holder. Very Basic: While this would be a pro if your main goal is to replace your traditional sketchpad or are looking to save money, more advanced artists might find the Intuos line a bit too simple. Overall, this tablet has everything to cover very basic digital drawing, painting, and editing needs. The tablet is responsive, has an easy-to-grip stylus, and programmable buttons for easily erasing mistakes. Depending on how hard you press the pen, it will draw thinner or thicker lines. With 4096 levels of pressure sensitivity, you have a lot of control. And it’s small enough to use with a clipboard for extra stability, to give you an idea of how light it really is. The Intuos Art Pen and Touch could be considered the a slightly cheaper alternative to the new intuos, however it doesn't come with some of the newer bells and whistles. 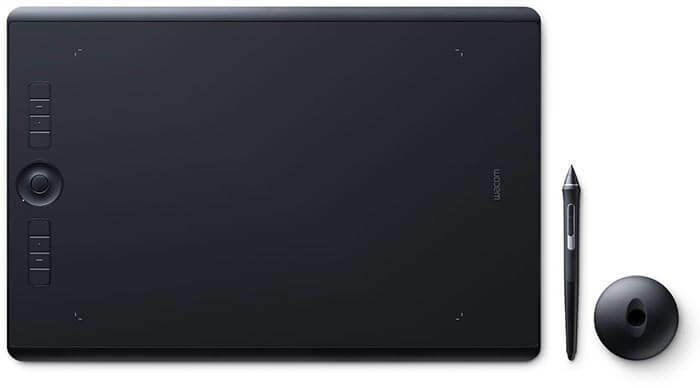 The active area is about the same size as the entire Intuos Draw tablet at 8.5 by 5.3 inches. If your main goal is to get a tablet for drawing and don’t want to spend the money for a drawing tablet with a screen, this is probably the best option. 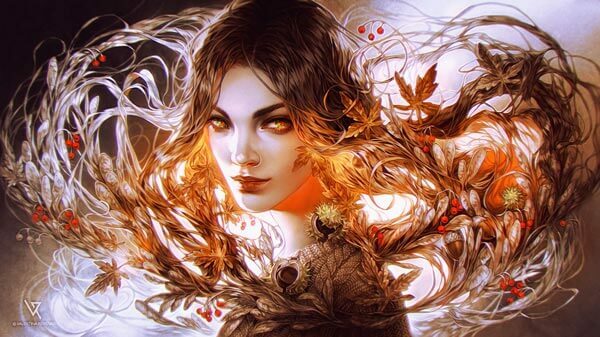 Included Software: Instead of Art Rage, the Intuos Art comes with Corel Painter Essentials. Painter Essentials has two workspaces that you can switch between while you work. The Drawing/Painting space lets you sketch or paint from scratch while the Photo Painting space is for creating paintings from photos. So if you’re into both drawing and photo work, this should serve you well. Easy to Install: The Intuos Art driver for Mac is simple to install. As someone who is far from a computer wizard, this sounds encouraging. You’ll find an installation CD with the tablet but you can download the driver online if your computer doesn’t have a DVD drive. Multi-touch Gestures: Another main difference that makes the Intuos Art more advanced (and expensive) than the Draw is its multi-touch capabilities. If you want to be able to use your fingers to zoom, pinch, and more, you can do it with this tablet. ExpressKeys: As with other Wacom products, there are four ExpressKeys you can customize to make shortcuts like copy/paste and undo more accessible to you as you work. I really dislike the idea of having to pause and use a mouse in between creating art, so I’d appreciate this feature. The Pen Buttons: The customizable stylus buttons on the Intuos pen can get in the way when you’re using it, leading you to accidentally erase or zoom while you draw. This could get annoying at first until you get used to holding the pen. Back Cover Issues: The back cover of this tablet is hard to get open and removing it may require some force. I once broke a piece on an old phone of mine this way, so I definitely wouldn’t feel very comfortable with that after spending a couple hundred dollars. It’s also hard to get back on once it’s off. Though it’s bigger than the first drawing pad we covered, it’s still small enough to save desk space and free you from the imprecise shakiness of working with a mouse. If you’re seeking the best Wacom for Photoshop, you will probably want something a little more advanced than the Draw or Art. The Intuos Pro has a customizable active area and comes in small, medium, or large. It features the Wacom Pro Pen 2 with tracking that is virtually lag-free. Pressure Sensitivity: The new stylus technology on the Intuos pro supports 8192 levels of pressure sensitivity . Whether or not you need this totally depends on the type of work you do. If you’re using your tablet to do concept sketches or doodles, for example, you likely wouldn’t notice the difference between the levels of pressure on the earlier drawing tablets mentioned and this one. Working with fine detail or high-end print work, though, you’ll notice it right away. Tilt Response: The Intuos Pro can sense how much tilt there is between the tablet surface and the tool. If natural-looking and feeling pen strokes are a must for you, you’ll probably like this feature. Scroll Ring: Along with the ExpressKeys, this tablet comes with a scroll ring. This can be used to scroll, of course, but also to switch between brush sizes in Lightroom and Photoshop. Wireless: The Intuos Pro also comes with wireless capabilities which means less clutter on your desk and a more portable device. I like working in my lap, so I would appreciate this. If you need to be able to work on photo editing or sketching without feeling tied to your desk, this is a great feature. Nibs: The tablet only comes with two types of nibs; standard and felt. It doesn’t have any spring or rubber-tipped nibs and you can’t use old nibs in the new stylus. You may find this limiting if you’re used to being able to switch between different types of nibs any time you want. Stylus Quality: The new stylus, the Wacom Pro Pen 2 comes with 8192 levels of pressure sensitivity as mentioned, but is lighter but also feels a bit flimsier. The side button on the pen can be automatically activated by shaking the pen too hard. Touch Issues: Touch works well in Photoshop, but you might run into some minor issues with other programs correctly registering touch gestures. This is more of a driver issue than anything, so try to make sure compatibility is as it should be. You can switch between using the whole active area of the tablet or mapping a small corner of it to correspond to your monitor. This is a good feature if you like being able to control your whole screen while keeping your hand in place. If you want a product with a screen you can draw directly on and can spare the cash, the Cintiq 13HD could be a suitable place to start. This would give you more room to work with but is still small enough not to have to use your arm a lot as you draw. It comes with the Pro Pen, so it has 2048 pressure levels and tilt recognition. Doesn’t Get Hot: You can work with this graphic tablet for hours without it getting hot. Even after using it for a long time, you’ll only notice a slight warmth from it. This is great because it makes drawing with it in your lap far more comfortable. Comfortable Size: Since the tablet is 13.3 inches, its active surface is a lot like a regular sheet of paper in size. Instead of having to retrain your hand to work with a much larger or smaller area, this would likely feel comfortable and familiar right away. 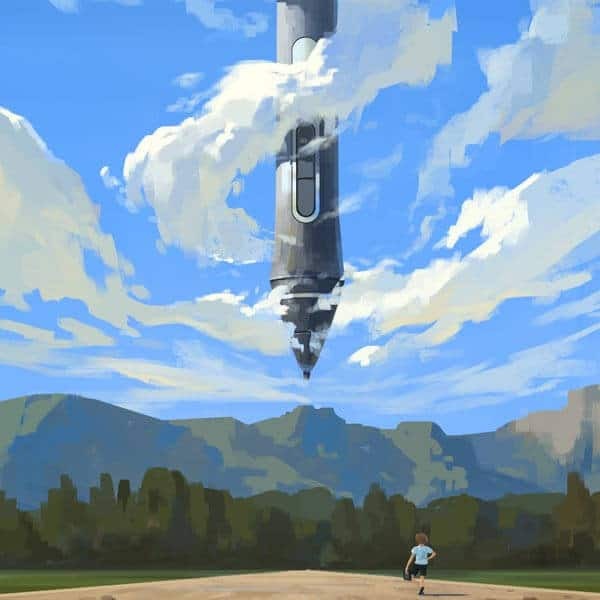 Feels More Natural: A lot of artists are divided on whether it feels more natural to draw directly on a screen or to use a graphics tablet, so this is a matter of preference. If you prefer to watch your hand as you draw and want a professional grade product, the Cintiq drawing tablets could be a worthy investment. Display: The display is HD (1920 by 1080) and has a wide viewing angle. Color accuracy can be an issue with some pen display tablets, so this is a plus. The Stand: The stand is detachable and uses a tab in a slot to hook up to the tablet. The tab falls out if you pick the tablet up and move it around. This would definitely make me a bit nervous to use the stand as I’d worry about the screen toppling over. Cable Attachment: The attachment on the 13HD drawing tablets seem a little weak and gets skewed if you move the tablet around your desk. And the cable attaching the tablet to the connect is stiff compared with the Intuos’ cable, which is pliable enough to be virtually unnoticeable. For what the product is, it’s actually pretty lightweight and easy to maneuver around your desk or hold propped up against your lap. At the same time, it’s substantial and durable enough not to feel flimsy or cheap. If you’re a photographer and need an even larger tablet, this could be the best Wacom tablet for you. Its widescreen format and large 21.5-inch screen make it suitable for motion graphics, design, illustration, and animation, too. Stylus Features: The 22HD comes with the Grip Pen with a rubberized section for comfort, two buttons along the side, and a tip that you can replace with the included extra nibs. Like other Wacom styluses, it’s battery-free. It also comes with a pen stand to keep the stylus upright, so you don’t lose it when you’re not using it. Tilt Sensitivity: This tablet has a tilt range of 40 degrees and allows the stylus to mimic traditional drawing utensils. When you tilt the stylus, it will create a thicker line, for instance. This is good if you’re used to working with pencil and value a realistic-feeling drawing experience. Multi-touch Gestures: The 22HD has some advanced multi-touch capabilities, including five finger gestures. So instead of using keyboard and pen shortcuts to rotate images, you can use your fingers. This will make switching between your fingers and the stylus much smoother. Rotating and Reclining: The screen rotates and reclines so you can find the most natural-feeling position or switch viewing angles easily. I’m used to working with a reclining easel, so I would like this feature. No Preloaded Software: Since it’s not a stand-alone device, the 22HD doesn’t come with software included and you’ll have to download it online. The Buttons Don’t Light Up: If you work in the dark, you may find it irritating that the buttons are hard to find by touch alone and don’t light up. It's a personal preference for me. Accessing Cables: To access the cables you have to remove the display and unscrew a few screws. This would be much quicker and more convenient with a snap-on panel. It would be the Intuos Pro as the best tablet for artists all around. It’s useful for both photography and sketching work and has the best pressure levels out of any of the products on this list. It also comes with the convenience of an adjustable active area and 3 sizes to choose from. Although it doesn’t have a screen, the scroll ring, tilt response, and ability customize the surface area could be a worthy trade, especially if you work in multiple creative mediums. It’s big enough to feel natural, yet small enough to be portable. 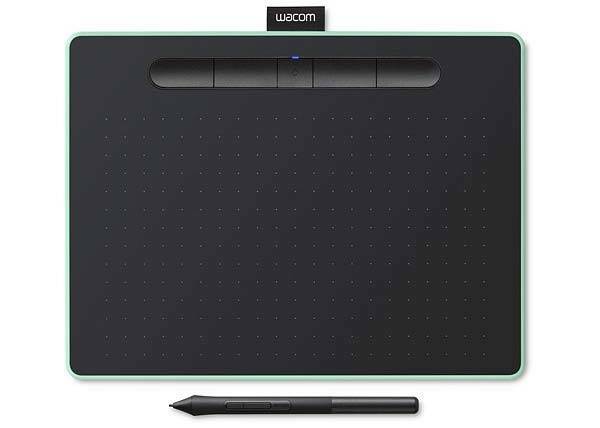 This could be the best Wacom tablet for you if you value versatility over all else in your art tools.